Materials used: Salt, Nylon, and Chocolate. 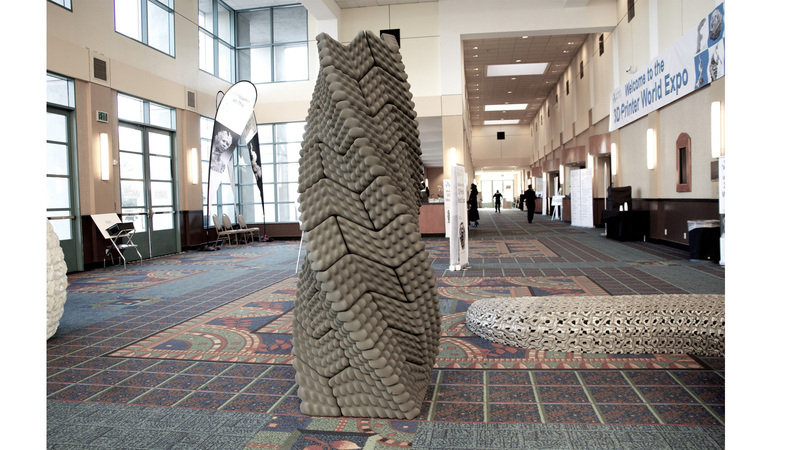 The Quake Column is a knurled pillar of 3-D printed concrete that combines an ancient Incan masonry technique with state-of-the-art manufacturing tools to create a structure that can withstand seismic shocks without mortar or rebar. Each block features modeled handles that tells the mason how the structure is assembled. 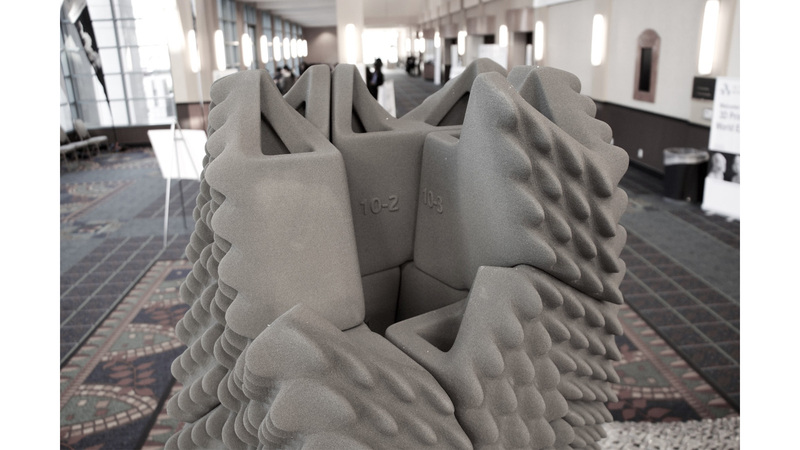 This pre-determined formation of stackable hollow bricks combines to create a twisting structure, optimized for intense vibrations in zones of earthquake activity. The column’s sand-based composition is one of many in a series of experimental structures devised by the team using new materials for 3D Printing, including salt, nylon, and chocolate. The column can be easily assembled and disassembled for use in temporary and permanent structures, and was designed purposefully with a simple assembly procedure for novice builders.